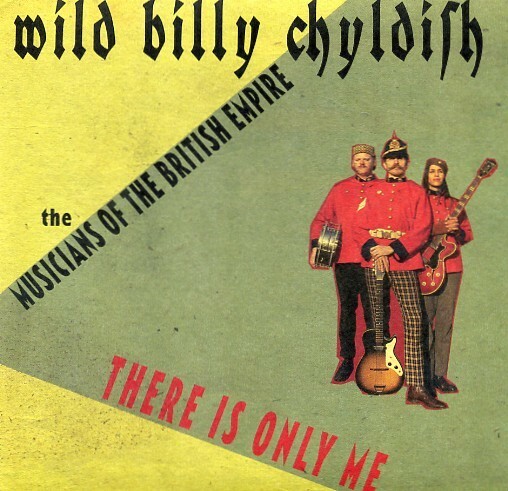 Wild Billy Chyldish and the Musicians of the British Empire "There Is Only Me" / with the Chatham Singers "All That's Spoken is Unkind"on Squoodge Records - nice thick sleeve, hand stamped blue vinyl record, label and inner-sleeve! Fancy and very Limited!Click here to see / hear a very lo-fi video of this record. 77 copies in clear wax and with a fullcolored 300gr/m² inside out sleeve. Each piece has 5 individual rubber stamps on the Labels and Innersleeves. 133 copies in green wax and with a fullcolored 300gr/m² inside out sleeve. Each piece has 5 individual rubber stamps on the Labels and Innersleeves. 133 copies in red wax and with a fullcolored 300gr/m² inside out sleeve. Each piece has 5 individual rubber stamps on the Labels and Innersleeves. 177 copies in blue wax and with a fullcolored 300gr/m² inside out sleeve. Each piece has 5 individual rubber stamps on the Labels and Innersleeves.